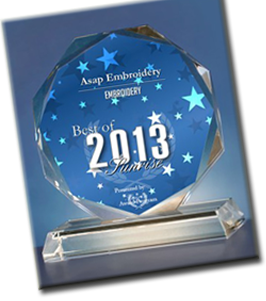 ASAP Embroidery has been a leader in embroidery and screen printing for over 25 years. Our quality service, fast turnaround and competitive pricing has kept us successful. 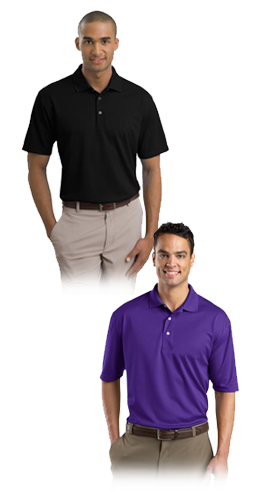 We work with top brand suppliers to offer you hundreds of styles to choose from in t-shirts, polo shirts, sweatshirts, caps, corporate wear, and uniforms just to name a few. We offer in house digitizing to convert your artwork into wearable advertising. We specialize in contract embroidery. From custom monogramming, to small companies or large corporations, no job is too big or small. We offer the best quality, best prices and best service. Feel free to browse our catalogs. Call Us Today, Get Noticed Tomorrow!